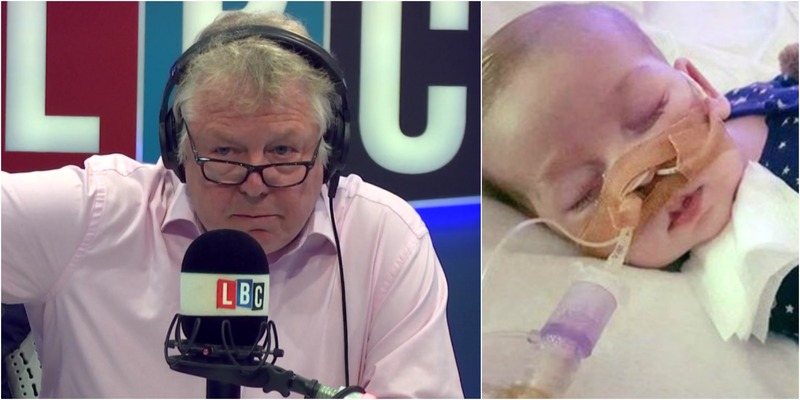 This is Nick Ferrari's intensely personal reason why the judge got his decision wrong on baby Charlie Gard. Yesterday, a High Court judge ruled that doctors can withdraw life support from the eight-month-old, who has a rare genetic condition, against his parents' wishes. Specialists at Great Ormond Street Hospital said eight-month-old Charlie Gard has irreversible brain damage and should be moved to palliative care. But Nick Ferrari can speak from very personal experience about this. His brother Simon was told he would be a "vegetable" for life after a car crash and doctors wanted to turn his life support off to harvest his organs. His mother refused and Simon recovered, living for another 34 years. And that's why Nick thinks that sometimes specialists can get it wrong and, while the judge's decision was closely considered, it has ruined three lives. "As in the case of my brother. Save for a brilliant surgeon, a brain surgeon called Mr McCabe whose name I will take to my grave because he saved my brother's life, I wouldn't have had one of those powerful forces in my whole life. "I had a tremendously close relationship with my dad, but I had a phenomenally close relationship my brother. Because effectively, I helped him to walk again. I was nine he was 17. I remember I used to push him around in a wheelchair and help him catch footballs again. "So I say in this case, I'm sure Mr Justice Francis, I don't for one second think he raced to this conclusion, I'm sure he found it very difficult. But you know what, he's effectively wrecked irrevocably three lives here. "Would it really have hurt the courts that much to let Charlie have one last chance?"